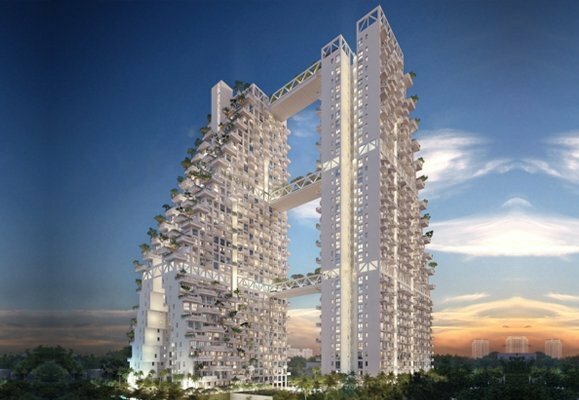 Sky Habitat condo is an iconic new design by renowned architect Moshe Safdie, just 4 minutes’ walk from Bishan MRT station. 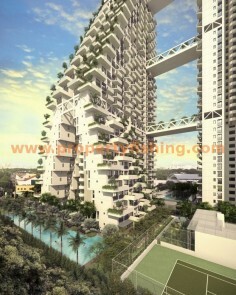 Moshe Safdie is the architect behind the eye-catching Marina Bay Sands. 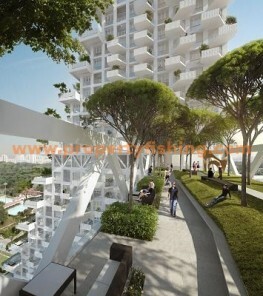 The construction allows air to breeze through and sunlight to penetrate, and maximises views of nearby Bishan Park for the units as well as from the community spaces. 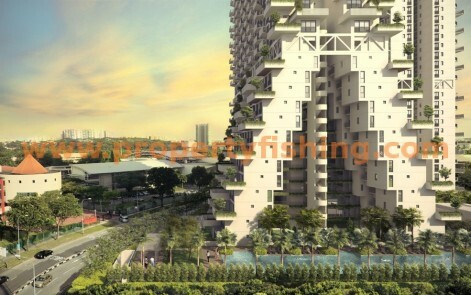 Residents will be able to enjoy the outdoors fully, as 70% of the site area will be developed into a series of lush gardens, outdoor events rooms, swimming pools and walking paths. 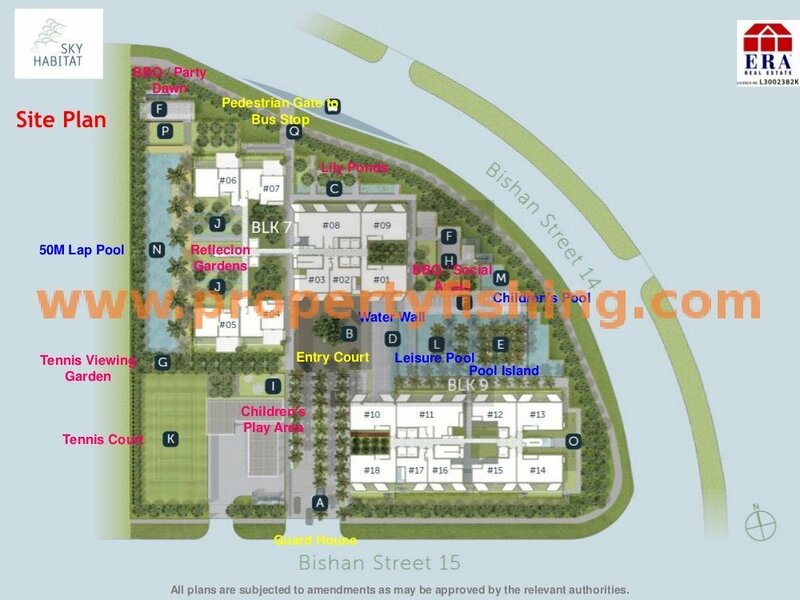 Bishan is one of the most sought-after residential districts in Singapore, given its central location and abundance of amenities. 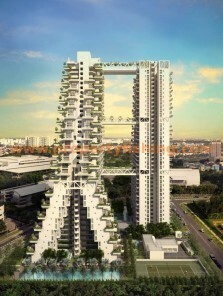 Shopping malls in the vicinity include Junction 8, NEX, AMK Hub, and Thomson Plaza. Many educational institutions – including some well-known schools – are also nearby, for example Raffles Institution, Raffles Junior College, Catholic High School, Ai Tong School, Kuo Chuan Presbyterian Primary and Secondary School, Australian International School, Stamford American International School, MOE Language Centre, and ITE College Central (Bishan). For nature and outdoor enthusiasts, Bishan is home to green and exercise spaces such as Bishan Park (Kallang River), MacRitchie Reservoir and Bishan Stadium & Sports Hall. 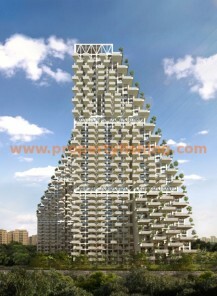 Sky Habitat features a total of 509 units, comprising 1+Study, 2+Study, and 2, 3, 4 bedroom apartments and penthouses.